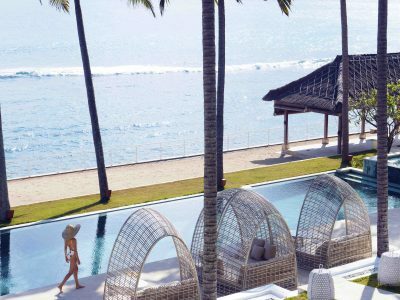 Give your customers the wow factor with our Luxury Outdoor commercial furniture, our furniture can be found at luxury 5*holiday resorts with the impressive designs to create a lasting impact. 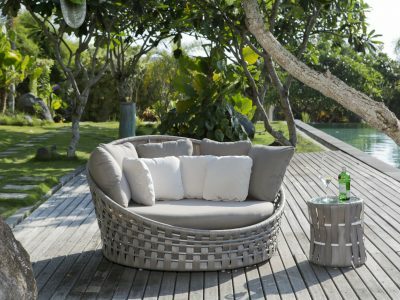 Our luxury Modern lounging ranges include the impressive Sparta Pavilion which is a versatile outdoor seating area perfect for outdoor wedding photos settings with its thick kubu mushroom rattan weave with outdoor cushions which are available in a wide range of fabrics. 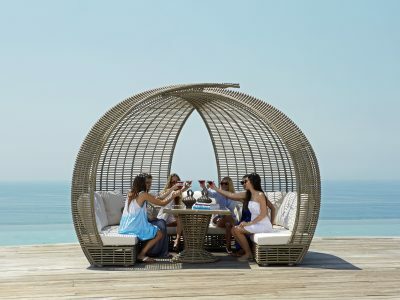 We then move on to the Surabaya Rattan Daybed which is a new range for this year and very popular already with our Spa Clients. 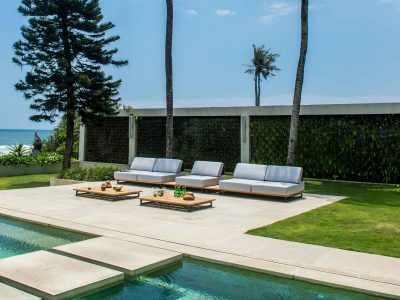 The Kona Rope with outdoor daybed is a large daybed which has a powder coated frame which has intricate rope detailing and sumptuous outdoor cushions which again come in a wide range sunbrella fabrics. 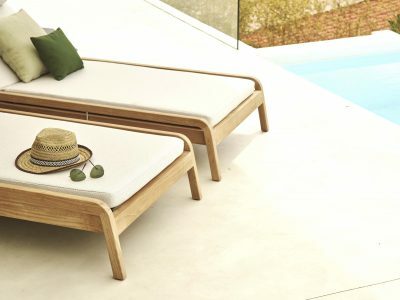 This is a great couples daybed allowing them to relax together in absolute comfort and luxury. 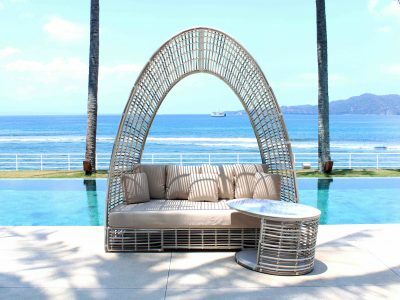 Our beautiful and modern Strips Cabana Double Rattan Daybed is a great feature with a powder coated frame which has then been hand woven in the smooth and contemporary Silver Walnut Rattan weave which gives this Strips rattan Cabana Daybed its distinctive look. Perfect for creating a shaded area so your customer can enjoy your outdoor area without having to laze in direct sunlight. New for this year we have the impressive modular Ono outdoor seating which has a modern low seating design design with rattan detail on the back and teak finish. 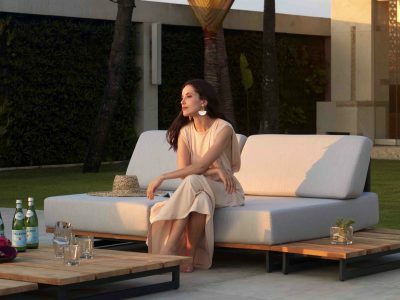 Our Ono Modular Outdoor commercial seating can be created to your specifications as each unit is available on its own to create the layout best to suite your hotel or spa. 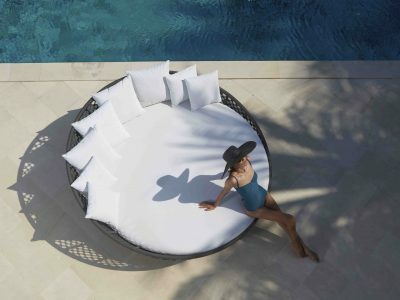 The seating area on the Ono collection is an all weather sunbrella fabric which when combined with the modern finish it really create a bespoke outdoor seating area . Then to finish we our another new collection we have the Beautiful and stylish Flexx Double Daybed lounger which brings a more tradition feel with the Teak finish but the design really creates a wow factor with the curved smooth teak legs and finished with the large double mattress which again s a great way for couples or families to relax together whilst enjoying your venue.